The Partiologist: 100 Animal Cookies Book Giveaway! 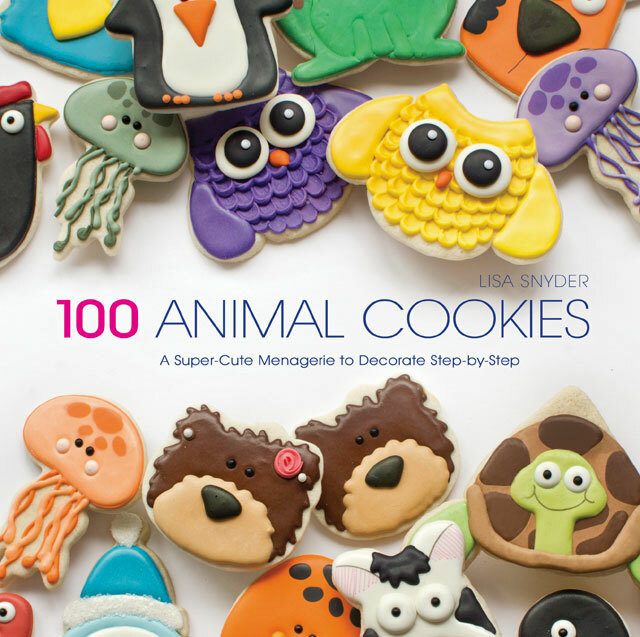 100 Animal Cookies Book Giveaway! 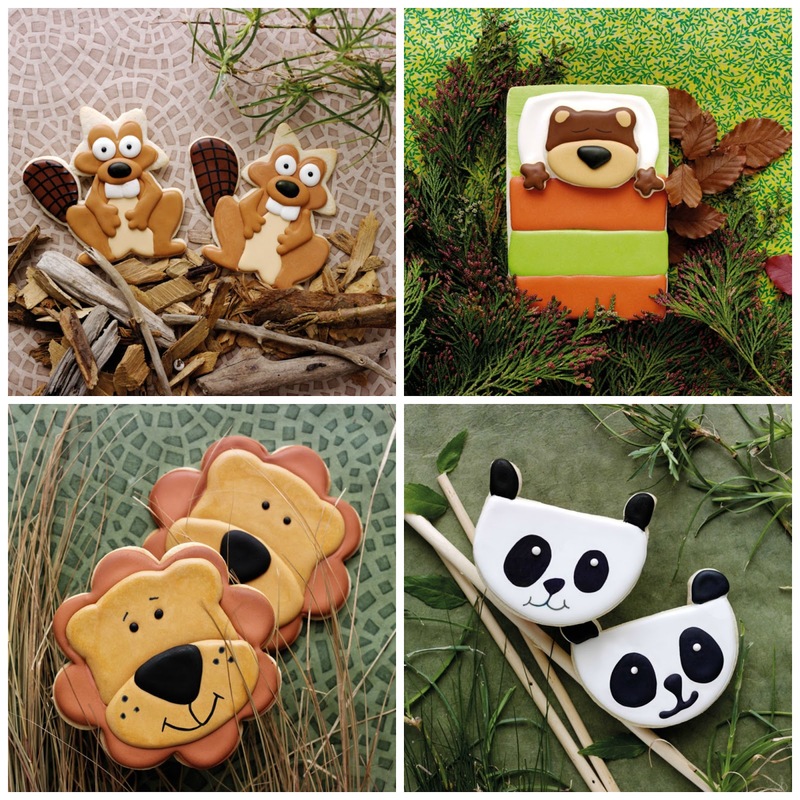 I am so excited for my friend Lisa, The Bearfoot Baker. Why? 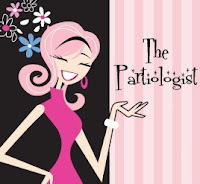 She has written the most adorable cookie book! Not only is it filled with fun, cuddly creatures, there are 100 Animals featured in this book. Showing how to decorate each and everyone from start to finish. And because I am so very proud of her, and want everyone to know about her book and amazing talent, I am giving away a SIGNED copy. Who knew these little creatures could be so cute. This was it, I would make a Christmas Caterpillar Cookie! Gathered up my round cookies. Looked at Lisa's book for more ideas and started decorating. To see how I finished, and how I got the little caterpillar to stand, you'll have to either enter to win the 100 Animal Cookies book giveaway, or if you don't want to take any chances, order the book! How about this, order and book and enter to win. That way you'll have one to give away at Christmas! Thank you Lisa for sharing your talent with us and for giving one of my lucky readers your new awesome book! It's a gift that keeps on giving! My favorite animal is the cat! I love my cats (I have 5 now), but they seem to only love the food I give them! My favorite animal is the cat. I have six (6) of them who appeared in my life in desperate need. Those days are over for them! All of them are now healthy and happy and safe! Thank you for the nice give away of this lovely book! Keeping fingers crossed! Thank you for the giveaway! my favorite cookie animal would be the teddy! My favorite animal is my cat but my favorite animal to "cookie" is a giraffe! My favorite animal is a dog but my favorite animal cookie is the inch worm followed closely by Rudolph the red nose reindeer! I favorite animals are Raccoons, I had one as a pet as a child. Great memories! My favorite animal is a dolphin. I love your caterpillar cookies. Great way to turn a mistake into something fun. my favorite wild animal is that grizzly bear...or wild cats, those things are amazing. 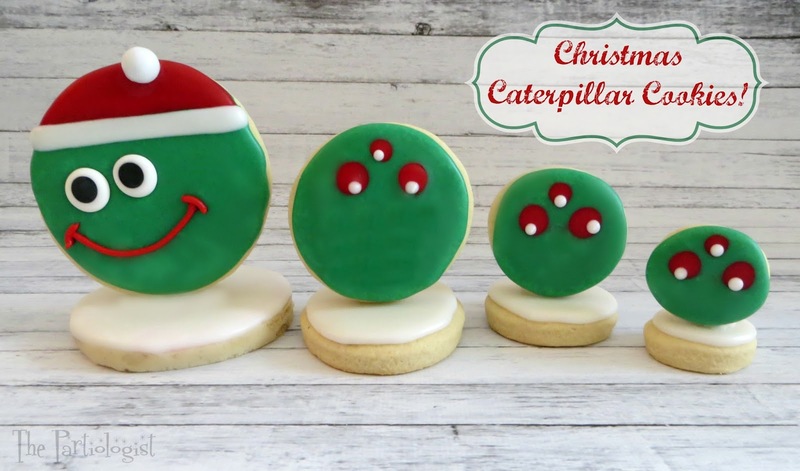 Your Christmas caterpillar cookies are amazing. I never in a million years would have thought to decorate a caterpillar for Christmas! Brilliant! You are so cretive! Thank you so much for sharing this adorable guy with us! I am going to make it for some little friends of mine this Christmas!